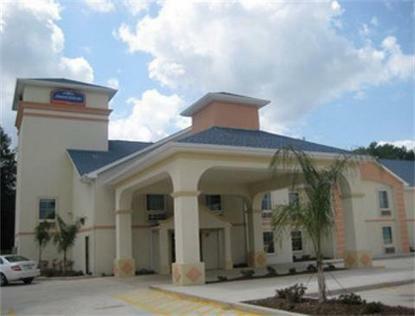 The Howard Johnson Houma is located one block from the Houma Civic Center and the golf course. Guests at the Howard Johnson Houma appreciate amenities such as free wireless high speed Internet access, business center, swimming pool, microwave and refrigerator, in-room safe, coffee maker, hair dryer, iron and ironing board not to mention the fabulous Rise and dine Continental Breakfast. The Jacuzzi suite also features a wet bar.The staff and management of the Howard Johnson Houma look forward to making your next visit to Houma a memorable one.